Measure the girth of your wrist to the place where plan to wear a bracelet. To do this, use the tailoring meter or other flexible measuring tape. If you do not have a flexible measuring tape, you can use a piece of thin thread, strip of paper, in general, all that can be wrapped around the wrist. ♦ DO NOT measure existing bracelets, watchbands, etc. 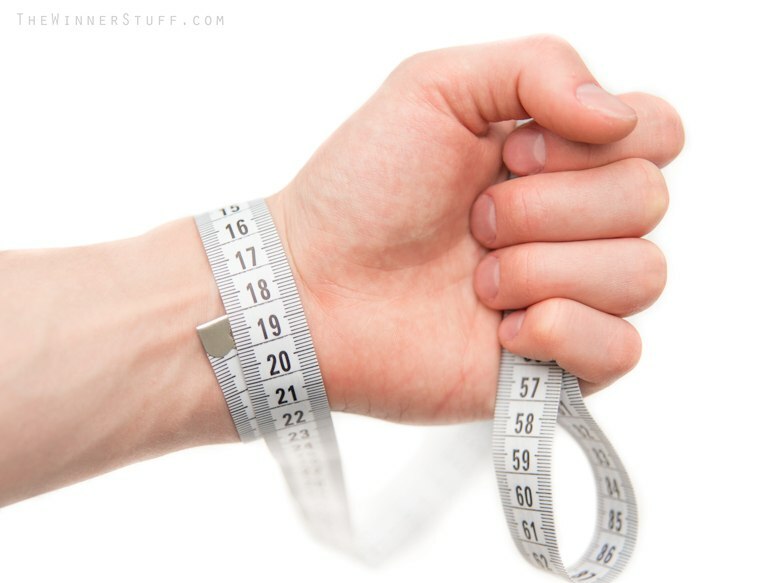 ♦ DO NOT measure the girth of your wrist using flat ruler. ♦ DO NOT measure the girth of your wrist using metal tape. ♦ DO NOT measure the girth of your wrist using fingers of the other hand. Please do not add or take away from the resulting value. Let us know what you want: "maximum loose fit", "snug fit" or average between first and second options.